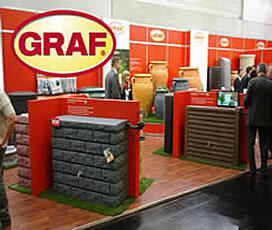 Our greenhouses include a wide range of designs and sizes from the finest German and Belgian manufacturer. 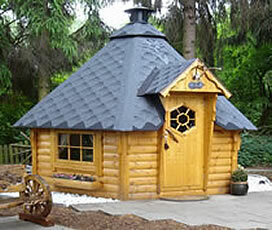 They have honed their designs over decades and each greenhouse is crafted out of the top quality components. 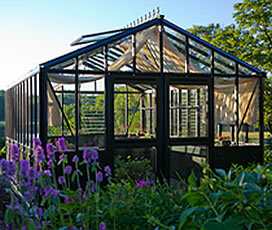 From year round cold frames to beautiful glass Victorian greenhouses, we have a greenhouse that is right for you. Are you are just starting out and lack space for a full size greenhouse? A cold frame may be perfect for you to get an early start on the planting season. Looking for a durable greenhouse with a lot of options? Our rugged Riga polycarbonate greenhouses offer a range of sizes with varying width, length or height to make it easy to find the one for you. Riga options include shelves, seedtrays, automatic opening windows, heaters, vent fans and more to allow customization of your greenhouse to your needs. The rugged Riga polycarbonate greenhouse weathers winter beautifully and its unique structure withstands heavy snows. If you are looking for a beautiful retreat, outdoor dining area or traditional greenhouse - a Victorian glass greenhouse fits the bill. Serious gardeners love the architectural structure, automatic window openers, optional shadecloth, louvered window vents and the Victorian roof detail. 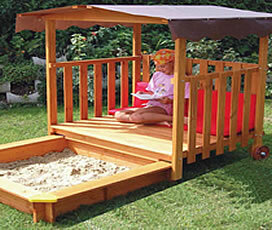 It is an amazing addition to any outdoor area. Who Should Buy a Greenhouse? A gardener who wants to expand their love of gardening by learning how to grow plants year-round. Someone who wants to jump-start their garden plants and vegetables in the winter months by sowing them from seeds. A health-conscious gardener whose aim is to grow fresh, organic produce for their family. 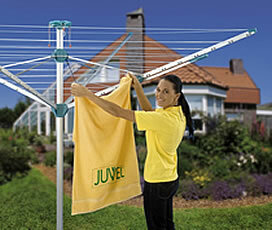 A lover of exotic tropicals, like orchids, that must have carefully protected environments to safeguard their plants. 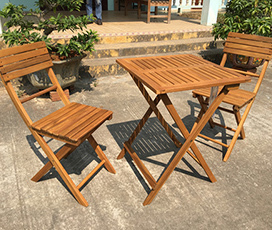 Someone who wants to protect plants, shrubs, and small indoor trees against frost during a long cold winter, a short but devastating hailstorm season, or light freeze. Composting benefits your gardens and plants as well as the earth. Explore our composter options to find one that is right to decompose your organic waste such as kitchen scraps, garden and yard waste. We have a variety of composters to choose from whether you are looking to start small or large. Many composters we offer have enhanced insulation and air circulation to ensure quicker decomposition of your waste. For those who want to avoid the work of turning compost, we even have the Earthmaker and Aerobin to make composting easier. 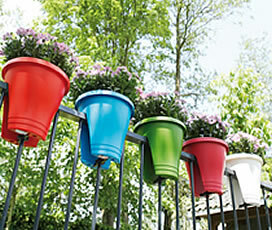 With a composter, recycling does indeed start in your own garden! 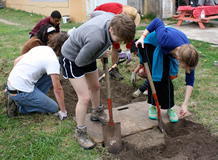 Exaco proudly supports the efforts of Green Corn Project, a grass-roots non-profit organization in Austin that teaches and encourages basic organic gardening skills in communities with limited access to affordable, healthy food.